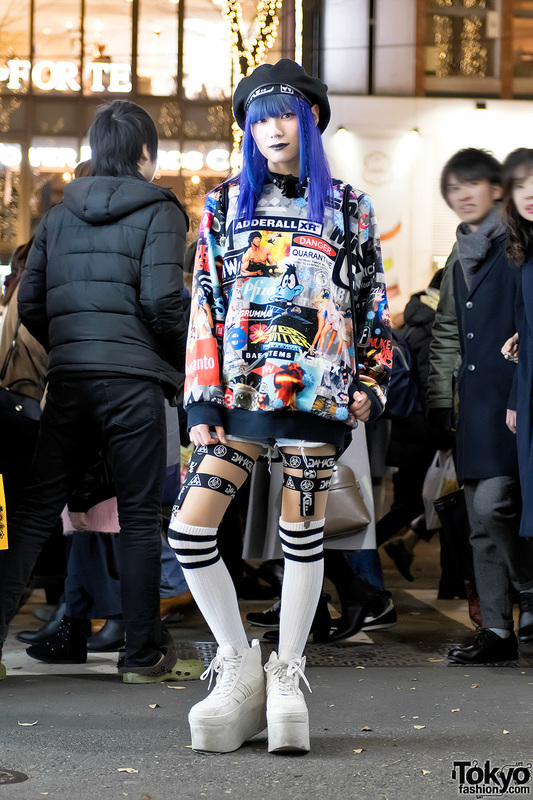 Harajuku fashion student in remake denim fashion wearing t-shirt over mesh sweatshirt, fishnet stockings, ripped denims, platform sandals, and big hat. Harajuku student wearing a sleeveless top with a black skirt, knee socks, and gold dripping paint platform shoes. 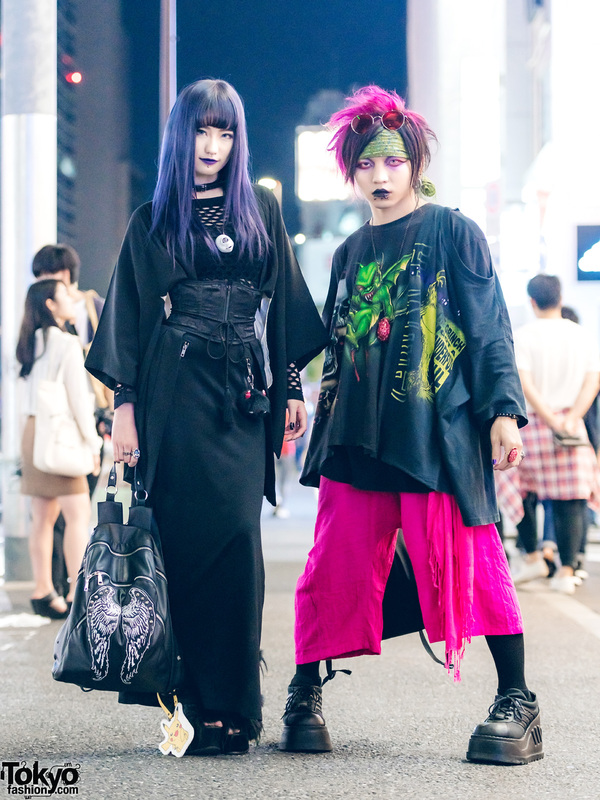 Edgy Harajuku street style with items from the Taiwanese brand Damage, Yosuke, Glad News, and Nyulycadelic. Harajuku girl with pink hair in casual sporty chic fashion with tank top, denim shorts and Air Jordans.